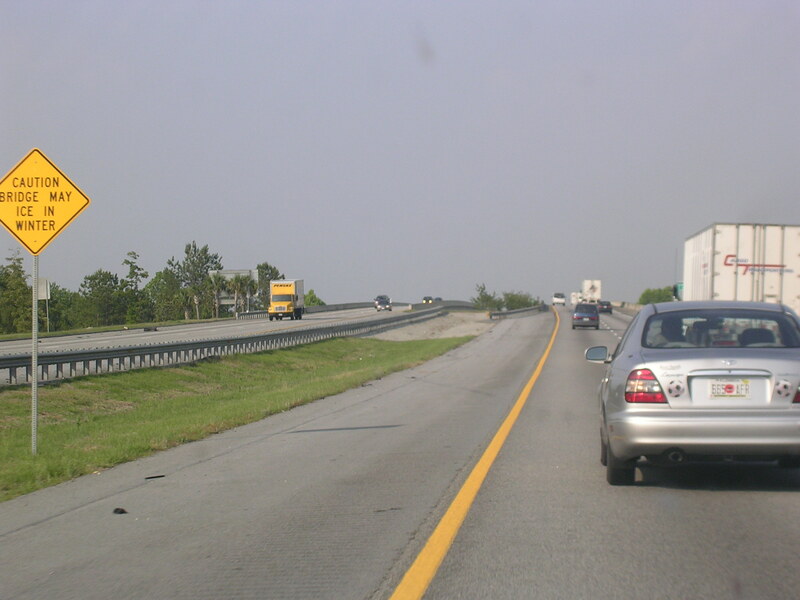 I-95 NB just north of Ft. Pierce. 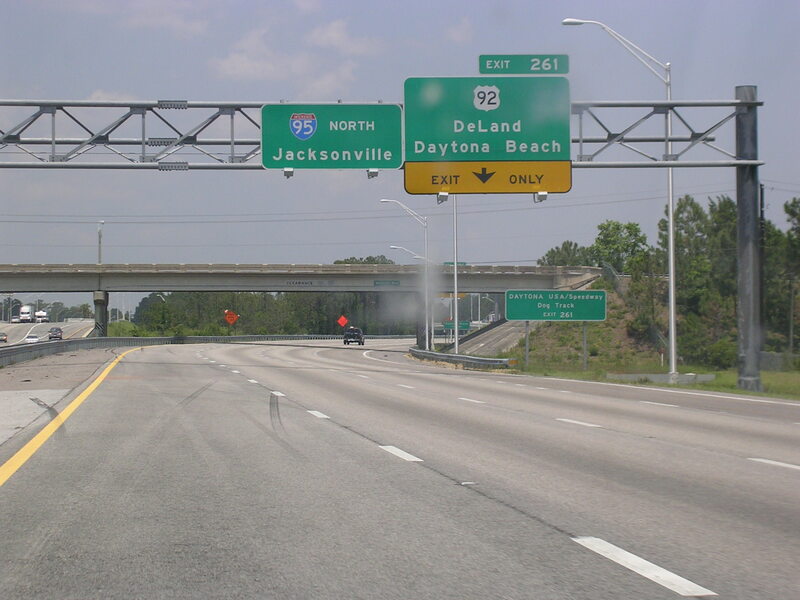 I-4's eastern terminus is just ahead, and then we will cross US 92. 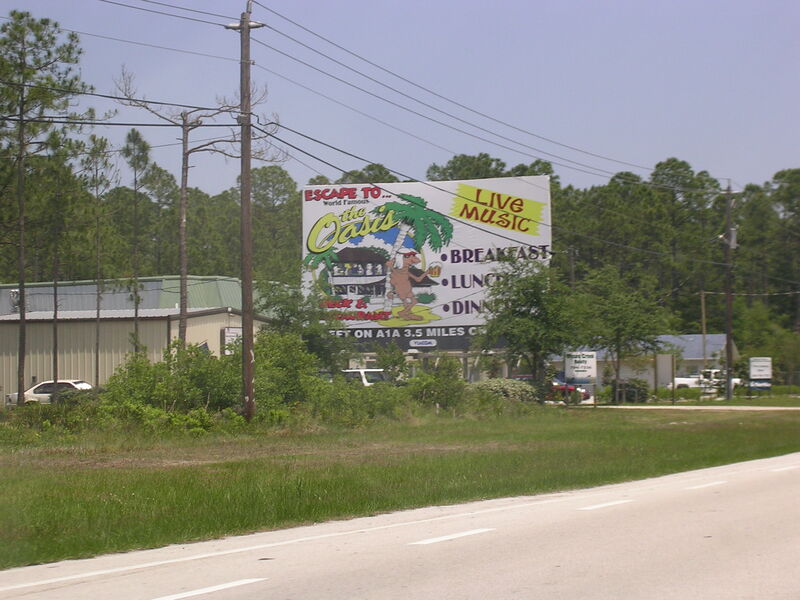 Near Daytona. 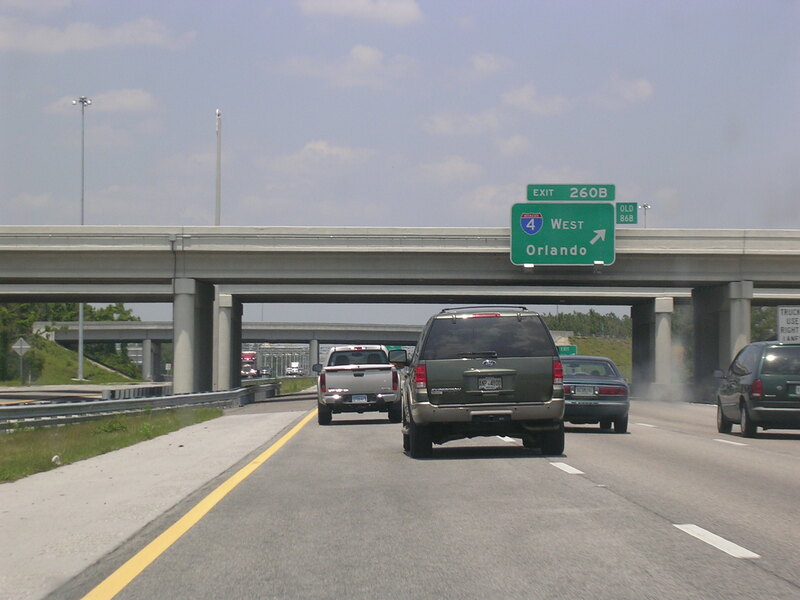 I-4 begins here. 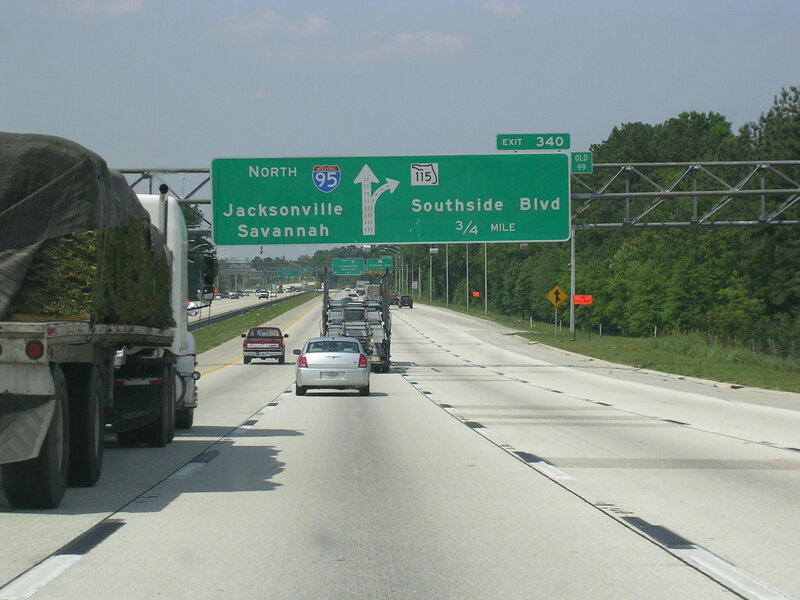 North I-95 to Jacksonville at US 92. 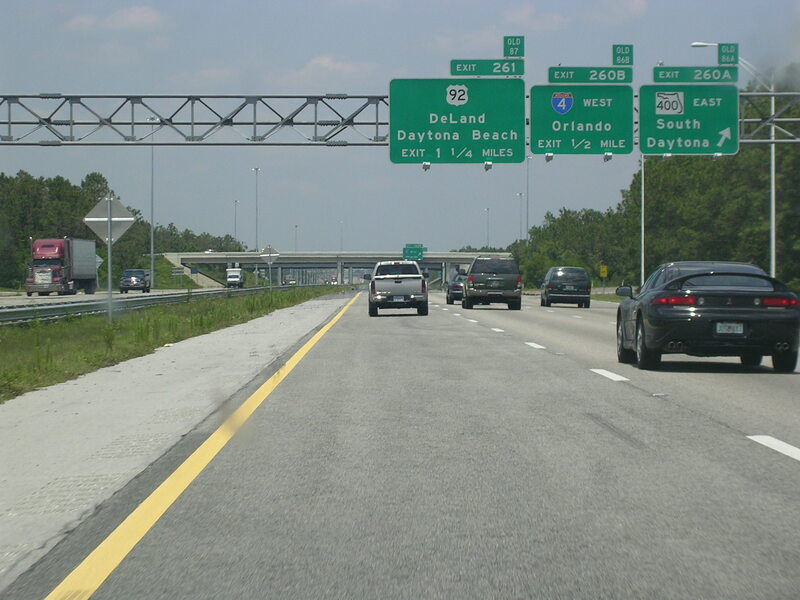 There is always construction to widen I-95 in the Daytona area. It began at an undetermined point in time long, long ago and will be finished in approximately never. Eight random letters... or something more sinister? 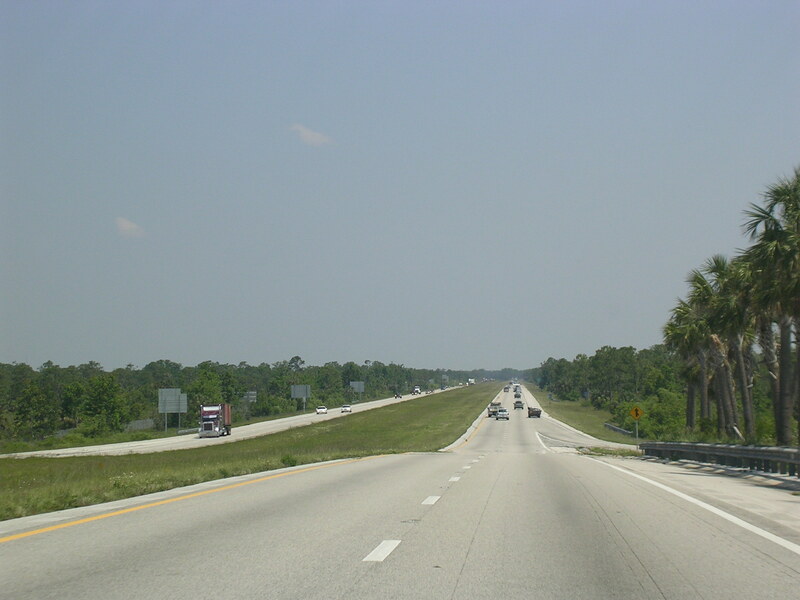 US 1 is expressway grade south of St. Augustine. 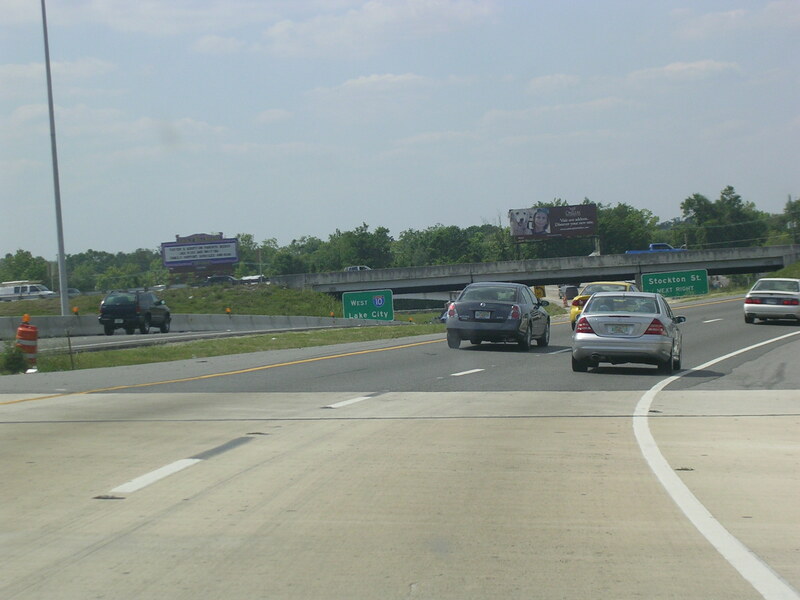 This is just north of its interchange with I-95. South of St. Augustine, we come to FL 206. 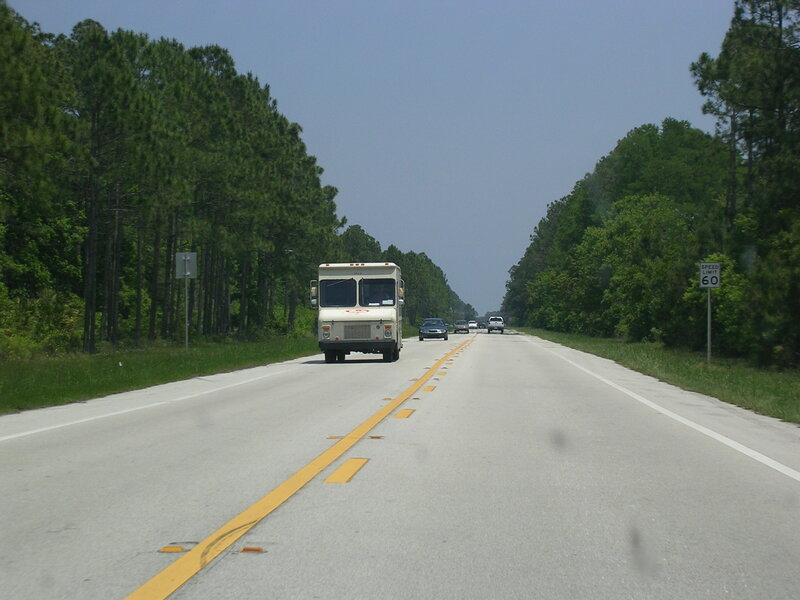 I took this road to FL A1A, where our soon-to-be-house is. Yay! The Oasis is great! On FL 206 EB. 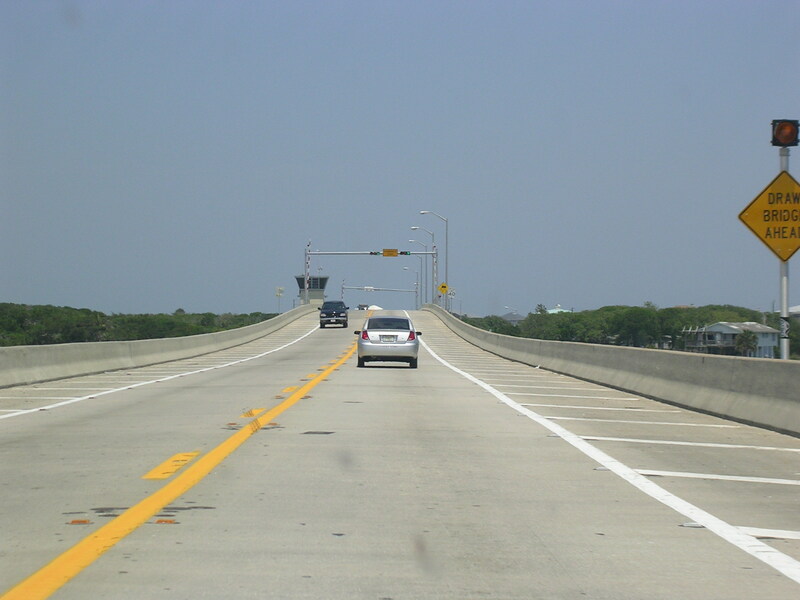 Route 206 goes over a drawbridge over the Intracoastal before it ends at A1A. 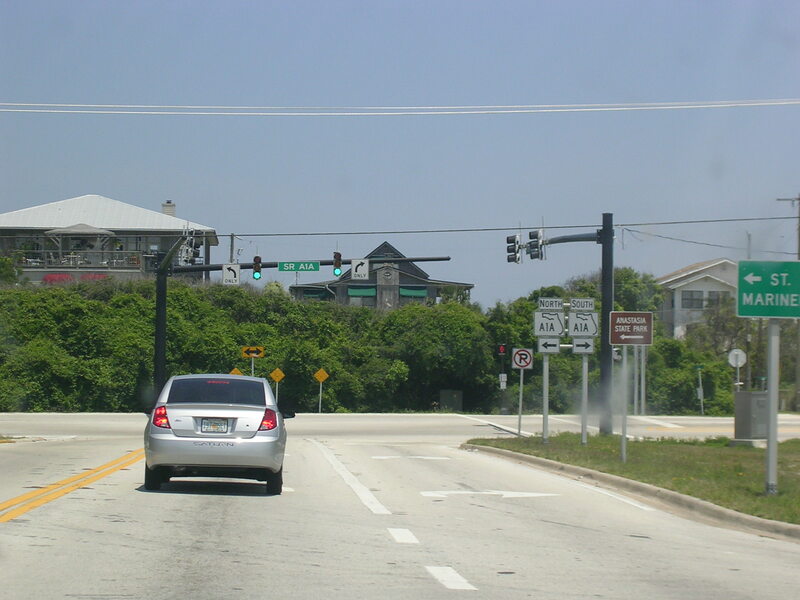 And here we are at A1A. 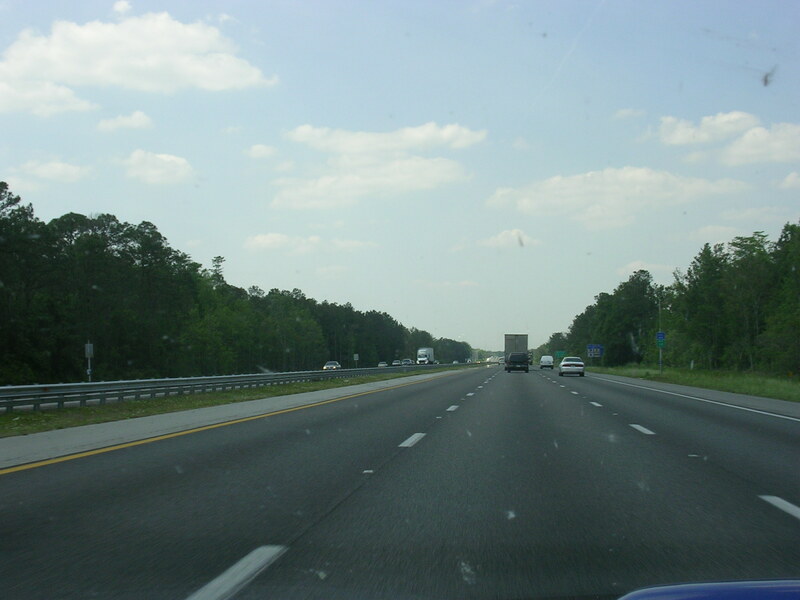 I think this is I-95 NB in St. John's County north of St. Augustine. 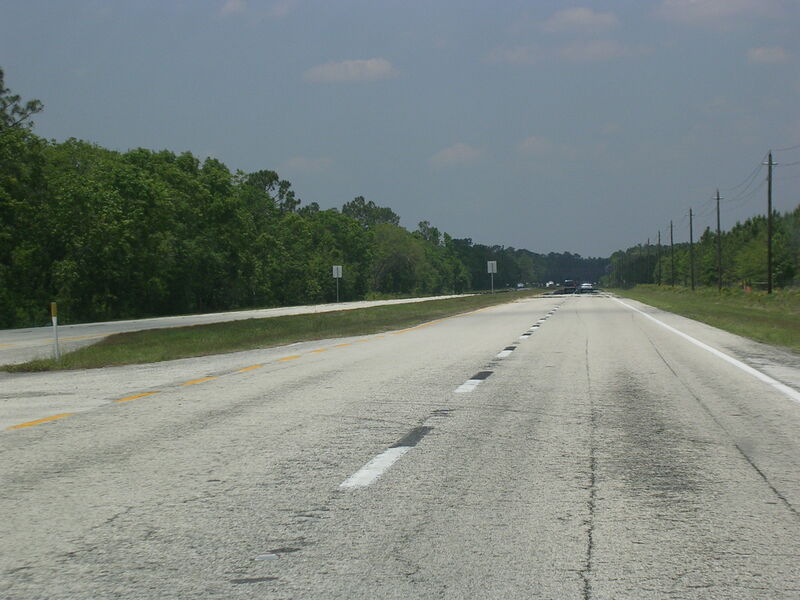 And if it's not, then this is pretty much what I-95 NB looks like in St. John's County north of St. Augustine. 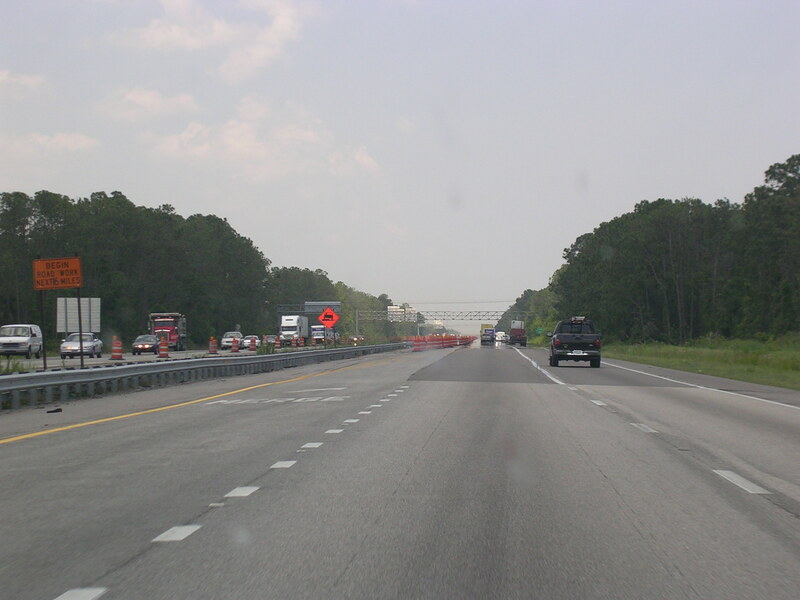 The construction zone that is I-295. 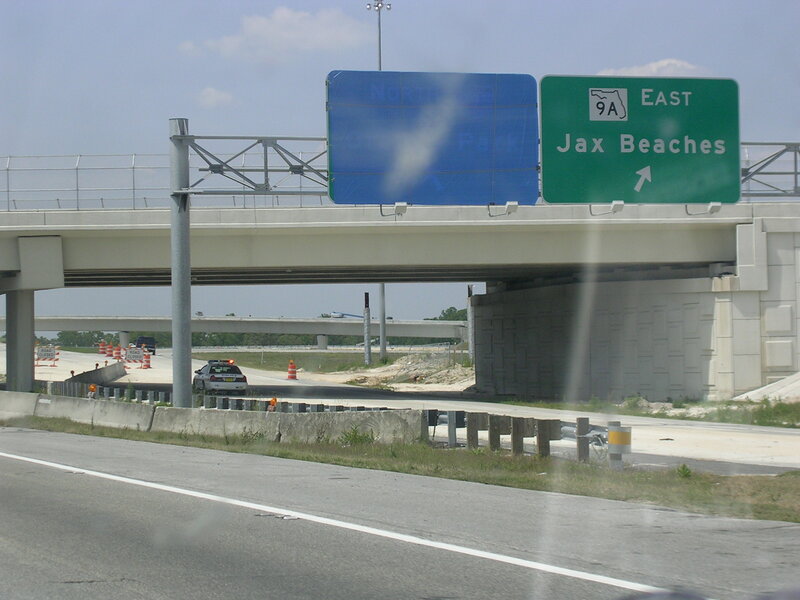 They are connecting the existing I-295 to FL 9A in order to make a full beltway around Jacksonville. I assume 9A will be renumbered to I-295 once the beltway is complete on the east side. A BGS still under wraps. 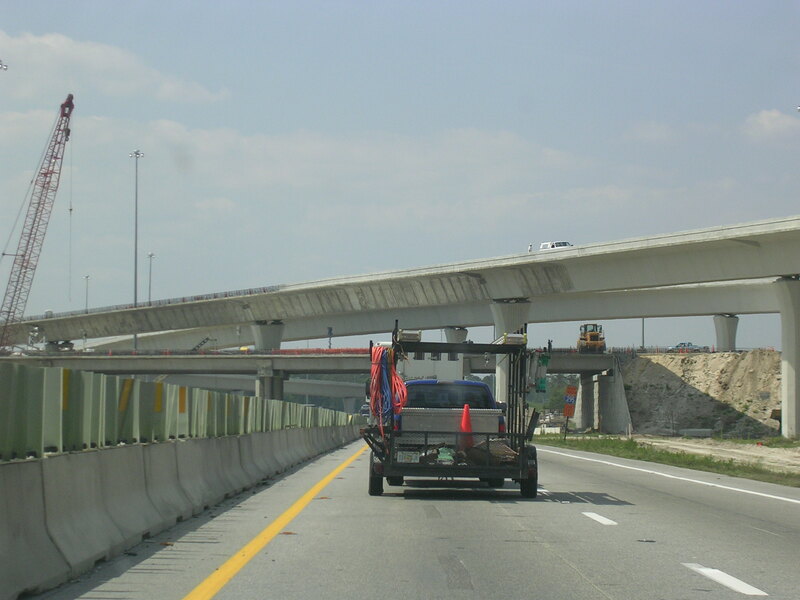 Flyovers to and from I-295 are currently being built. 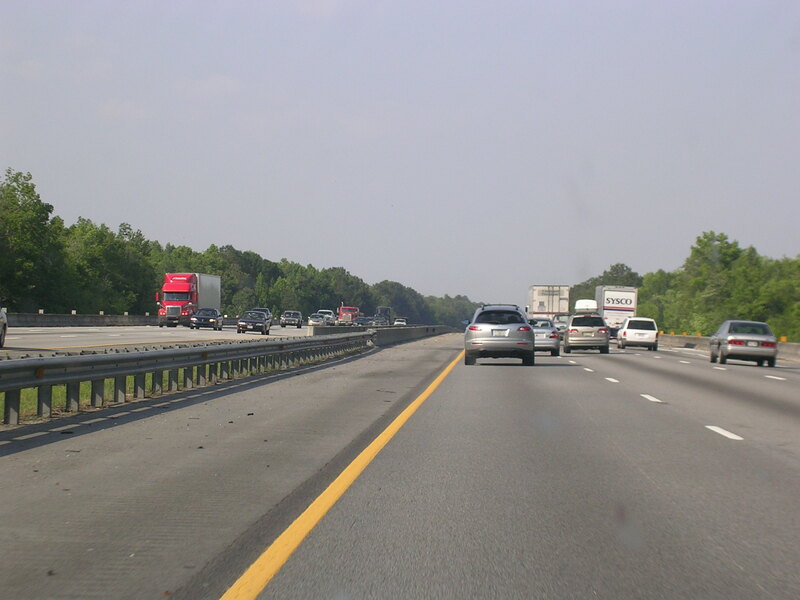 After the I-295 roadwork, I-95 becomes 6 lanes at least and is concrete as you see here. 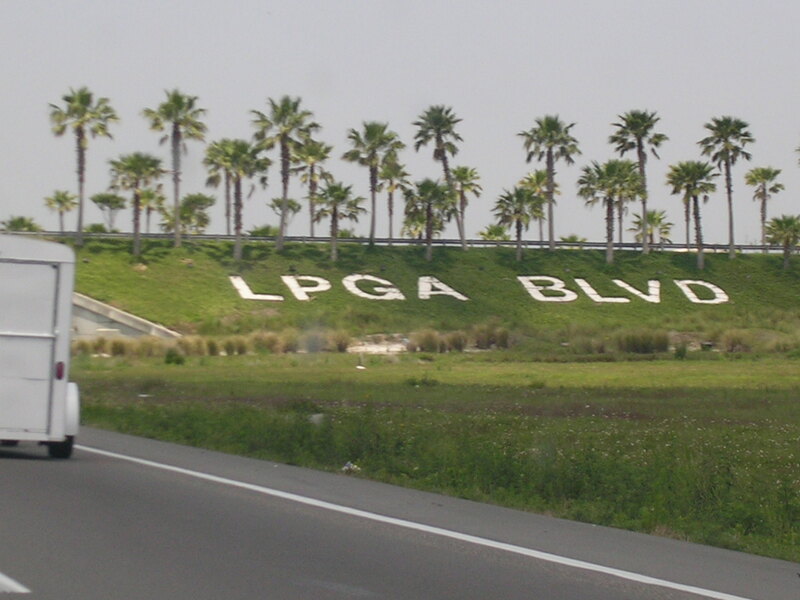 This is at Southside Blvd, FL 115, south of downtown Jacksonville. 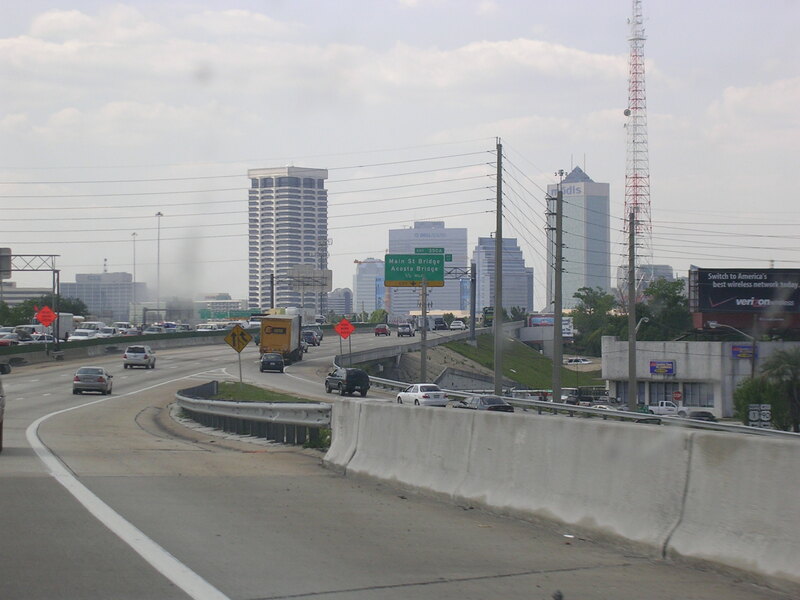 The Jacksonville skyline as seen from I-95 NB. 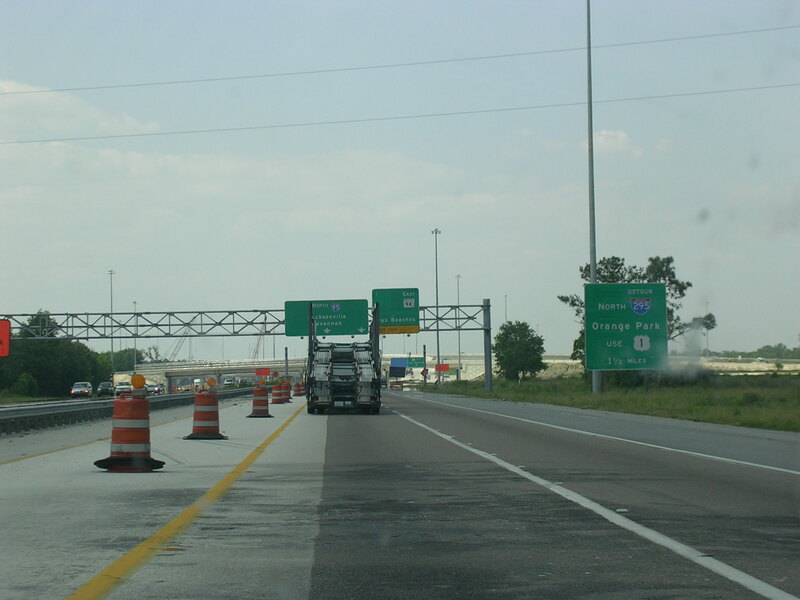 The recently-redone I-10 interchange with I-95 is coming up. We're in downtown Jax now. You can see that I-10 has already split from I-95, although it parallels I-95 for just a bit. This is new, as I-10 used to just curve off sharply and sub-standardly right where this picture was taken. 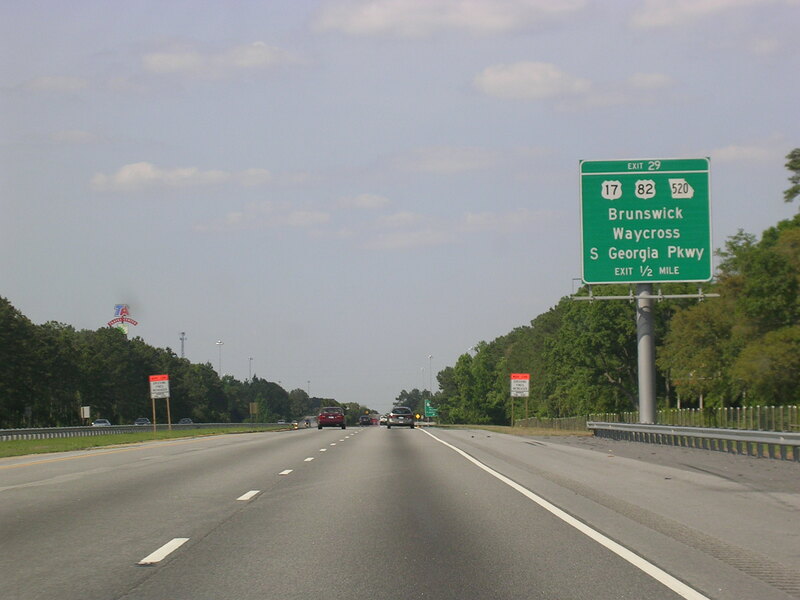 In Georgia now, we're coming up to Brunswick at US 17 and US 82 and GA 520. 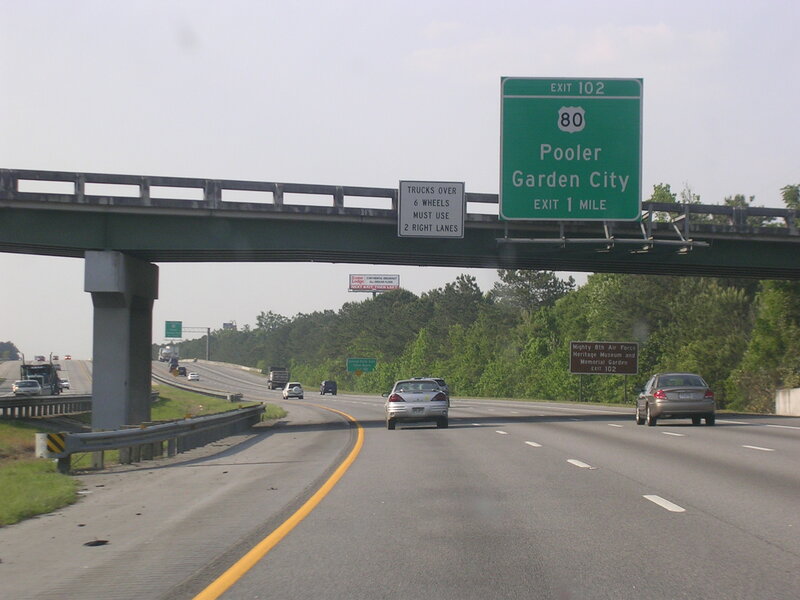 I-95 in Georgia has a lot of traffic for not having any major cities. 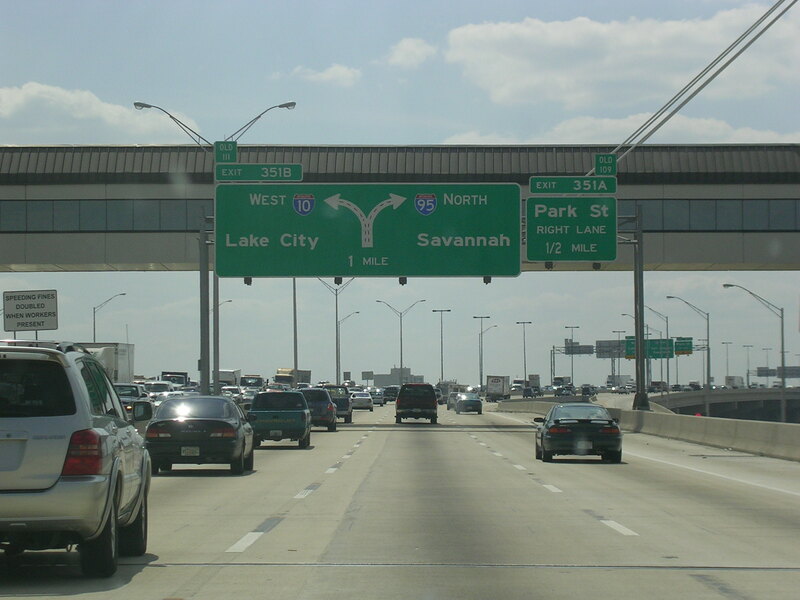 Savannah is not a major city. 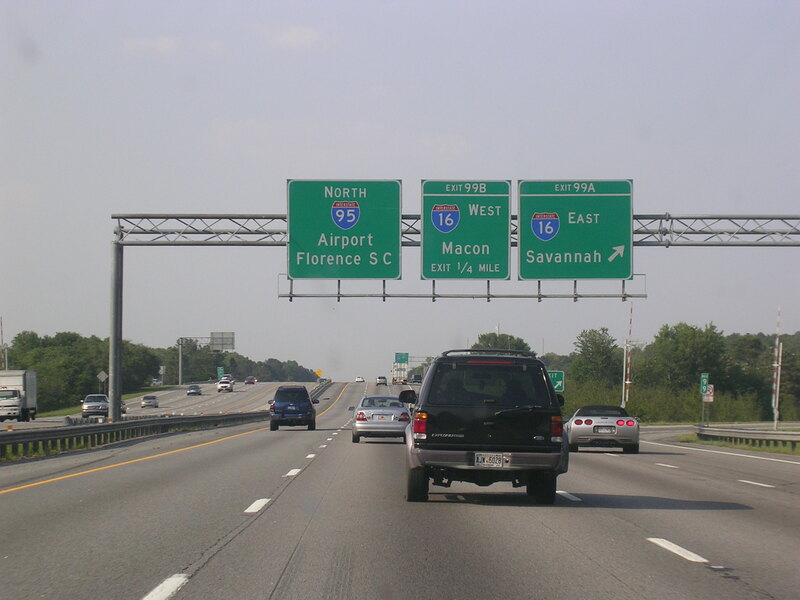 I-95 crosses I-16 near Savannah. And just after that, US 80 comes around. Then about 10 miles past US 80, Georgia comes to an end and we enter South Carolina.